On 24th November, I was inspecting what I had fondly thought were a fine row of neeps in our vegetable garden at Nedd (NC1331). Under their spreading tops, I discovered that at least half a dozen had been hollowed out, like Halloween pumpkins. Small rodents seemed the likely culprits, and since we grow neeps for our consumption, not theirs, I put down mouse traps, baited with cheese, in three tile drainpipes (to prevent access by birds). Since then the traps have caught thirteen wood mice, two bank voles, two pygmy shrews and a water shrew. Shrews were not the intended quarry, so I have now removed the traps, and turned the damaged neeps into soup. The pygmy shrew caught on 8th December is illustrated; it has the relatively long tail (at about 40mm, 70% as long as the head and body) which distinguishes this species from the larger common shrew. It weighed about three grams, indicating that it was still immature (adults weigh about five grams). Shrews live for only about 18 months, being born one spring, overwintering (if they are lucky), breeding the following year and dying in the autumn. This pygmy shrew was accompanied by a flea, which I collected and am having identified, since there are few records of shrew fleas (or almost any others) from the north of Scotland. The flea mentioned above has now been identified, by Frank Clark from Leicestershire, as a female Amalaraeus penicilliger mustelae. This is a species most commonly associated with voles, especially the bank vole, but which has also been found on most other species of small mammal in Britain. I have had it on five previous occasions in Assynt, in small mammal nests at Glenleraig, Nedd and Oldany, on a bank vole trapped in our garage at Nedd and on a weasel found as a road casualty at Skiag Bridge. Lest anyone think that flea identification is a pushover, Frank informs me that he had to de-sclerotize the specimen in KOH ‘in order to see the relevant bits’ under the microscope. Fleas are an under-worked aspect of the biodiversity of Assynt, of interest because many are very specific as to host (unlike A. p. mustelae). 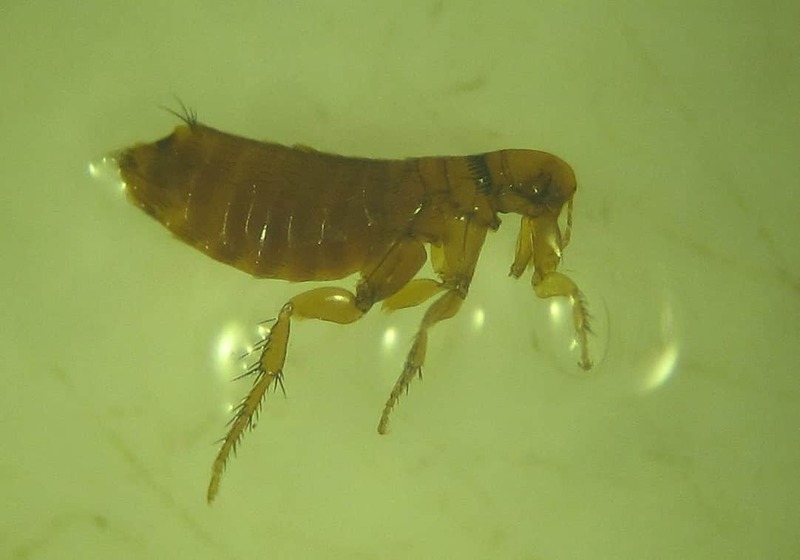 I have had ten species from a range of situations, including those mentioned above, together with bird nest boxes, nests of house and sand martins, cat and pipistrelle bat, but never, so far, from mole or badger, both of which host very large fleas.